Home Editor's Pick Can AI help crack the code of fusion power? With the click of a mouse and a loud bang, I blasted jets of super-hot, ionized gas called plasma into one another at hundreds of miles per second. I was sitting in the control room of a fusion energy startup called TAE Technologies, and I’d just fired its $150 million plasma collider. That shot was a tiny part of the company’s long pursuit of a notoriously elusive power source. I was at the company’s headquarters to talk to them about the latest phase of their hunt that involves an algorithm called the Optometrist. Nuclear fusion is the reaction that’s behind the Sun’s energetic glow. Here on Earth, the quixotic, expensive quest for controlled fusion reactions gets a lot of hype and a lot of hate. (To be clear, this isn’t the same process that happens in a hydrogen bomb. That’s anuncontrolled fusion reaction.) The dream is that fusion power would mean plenty of energy with no carbon emissions or risk of a nuclear meltdown. But scientists have been pursuing fusion power for decades, and they are nowhere near adding it to the grid. Last year, a panel of advisers to the US Department of Energy published a list of game-changers that could “dramatically increase the rate of progress towards a fusion power plant.” The list included advanced algorithms, like artificial intelligence and machine learning. It’s a strategy that TAE Technologies is banking on: the 20-year-old startup began collaborating with Google a few years ago to develop machine learning tools that it hopes will finally bring fusion within reach. Norman, TAE’s $150 million plasma collider. Attempts at fusion involve smacking lightweight particles into one another at temperatures high enough that they fuse together, producing a new element and releasing energy. Some experiments control a super-hot ionized gas called plasma with magnetic fields inside a massive metal doughnut called a tokamak. 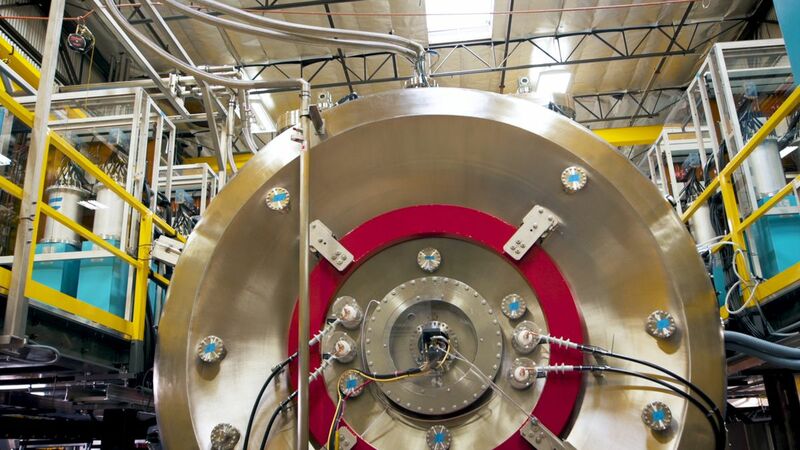 Lawrence Livermore National Laboratory fires the world’s largest laser at a tiny gold container with an even tinier pellet of nuclear fuel inside. TAE twirls plasma inside a linear machine named Norman, tweaking thousands of variables with each shot. It’s impossible for a person to keep all of those variables in their head or to change them one at a time. That’s why TAE is collaborating with Google, using a system called the Optometrist algorithm that helps the team home in on the ideal conditions for fusion. We weren’t sure what to make of all the hype surrounding AI or machine learning or even fusion energy for that matter. So the Verge Science video team headed to TAE’s headquarters in Foothill Ranch, California, to see how far along it is, and where — if anywhere — AI entered the picture. You can watch what we found in the video above.